Kpopeurope brings you the newest developments concerning K-Pop Dance in Europe! This time we have the honor to promote a well known dance group from France! The winners of the K-POP DANCE FESTIVAL in Vienna – KPOP ALLSTAR – are back in town to teach you the latest K-Pop dance moves! 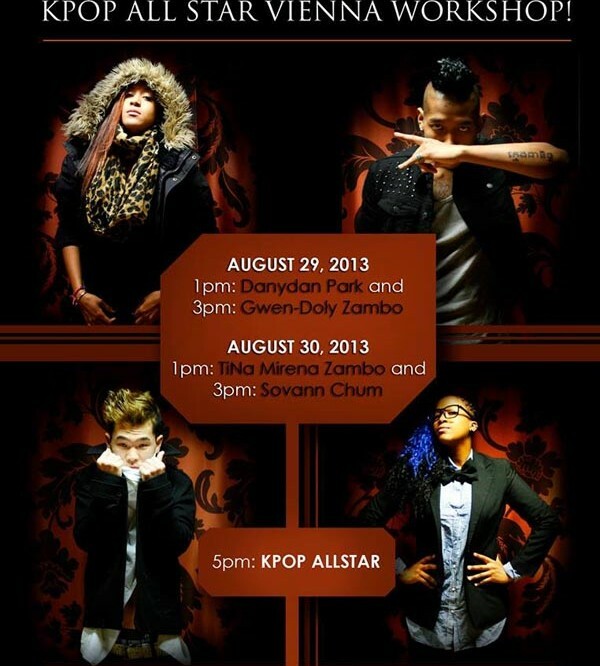 Are you interested to learn some K-Pop moves in Vienna? Are you spontaneous in your holidays? Then it is time to join this dance workshop (August 29th and Augst 30th)! Classes will be held on both days. You can choose which class you want to join! Kpopeurope will also visit the lessons! Here is the deal: Previous knowledge about K-Pop Dance is not needed. Just bring yourself and some interest to learn dancing and to meet nice people! Who is teaching? How much is it?